It’s interesting how we pick up habits from our parents or other figures in our lives. When the rain season comes, my mother has always wrapped an old towel across her car mats to absorb the extra water that would get dragged in by everyday use. To this day, I’ll see her break out the towels around the middle of October. As for me, I never cared for my floor mats in my car. I honestly never liked my car. The car was bought without my input and I was stuck with it thereafter. But recently I did get new car mats, along with a new car, and since I didn’t want to drag a bunch of water into my car, I too, wrapped my car mats in towels. But I soon realized that the towels would get tugged and moved around from the daily use of them. I had to solve this issue. I didn’t want to constantly re-tuck the towels under my car mats, because sometimes they were already dirty and wet. The front floor mats were a large size and I knew that bath towels would be a perfect fit. I decided to make some towel sleeves for my car mats. Since my carpet in my car is black, I knew I had to find black towels to create my towel sleeves. With the towels sleeves, it would be easier to catch the dirt and rocks that would be brought into my car, and the towels would be easy to clean, since all I had to do was take off the sleeves and throw them into the washing machine. I found two bath towels that were 52″ long by 30″ wide. Since my front floor mats are about 31″ long and 21″ wide, I only needed the width of the floor mat sleeves to be about 22″ wide. the size of these bath towels would give me 26″ width. I didn’t mind if the towel wasn’t long enough to cover the length of my floor mat because the mat could stick out a little bit. I folded the towel in half, length-wise and pinned the edges together, to prepare for the sewing process. I wanted to leave one of the shorter edges open, so I could slide my floor mats in and out easily. In one continuous line, I sewed along the yellow arrows (in the picture below). For the corners of the towel, where the material was thicker, I angled the long sew line and continued on. I then went back and hand stitched the corners, so they would stay together better. As you can see, the folded towel was still large enough to fit over my floor mat, and there was still extra room. I placed each of the front floor mats into my car, and folded the edges underneath the floor mats accordingly. You don’t have to fold them under, but I chose to. For the rear seat floor mats, I found eight hand towels to create the set in my car. My rear seat floor mats are 24″ long, by 16″ wide, so I found hand towels that were 26″ long and 16″ wide. The sewing process for these floor mat sleeves follows the previous steps for the front seat floor mat sleeves. I stacked two hand towels on top of each other, making sure that the tag was facing inwards for both towels. I then sewed along the yellow arrows around the towels. I left one of the long edges open because I wanted to slide the floor mat in easily. For the corners of the hand towel sleeves, I angled the long, linear sew line to complete the stitch, and then I went back to each corner and stitched them together carefully. My machine doesn’t like it when the material gets too thick, because it can’t pass under the needle easily. These rear seat floor mats had a lot of extra room around the edges, so I knew that I might have extra floor coverage. This size hand towel seems to accommodate different car brands and the mats still fit really well within the parameters. Now, when I need to clean my floors, I’ll just remove the floor mats from the towel sleeves and either wash them or shake them out. I might have to vacuum the edges, but that doesn’t take long at all. These towel sleeves makes my life a bit easier, by allowing me to keep my floor mats clean, and that’s always a good perk. This is a very simple hack and I use it when I put my phone calls on speaker mode. I simply tied two ropes around my car visor where it was tight enough to carry the weight of my cell phone. The ropes still don’t interfere with my visor mirror use as well. The rope loop on the left side of my visor was tied as it was placed on my visor, then tied off. The rope loop on the right side was actually measured by gauging how much rope I needed to wrap around the visor and then I tied a knot to close off that piece. I slid it over the visor and because it was a tight squeeze, I knew the knot would naturally tighten more as I was trying to stretch the rope accordingly. I wanted this lop to be tight because it would carry more weight compared to the other one. The right rope loops is tight enough to hold my cell phone in place in a vertical position. Sometimes I’ll write down my directions if I know I’m going somewhere, where I know I won’t get good reception and place the paper behind the left rope loop. These are good for lists too (ie. grocery lists, errand stop offs, to-do lists, etc). If I’m driving long distances and I need to swing my visor out to block out the sun from the driver’s side window, I’ll usually slide the phone in on the other side of the visor. It will still hold it in place and technically, the microphone will be even closer to hear and speak into. If you do use this method, just remember to not swing the visor too aggressively. If you do need to use your visor for a short time, keep in mind which side of the visor your phone is on. So there you have it, my very simple car hack for cell phone speaker mode. Please don’t text while driving. So my family usually keeps leftover material from previous house projects or from items that were disassembled. A lot of the time wood planks are left over. These vary in sizes so I try to upcycle them around the house. My father had a book shelf a while back and it had two 42″ shelves that were 1″ thick and two 72″ shelves that were one inch thick. I knew those shelves could be used elsewhere in the house so I designated the shorter shelves for the upstairs kitchenette and created shelves with the other two longer pieces, in two other separate areas of the house. I bought four grey Everbilt 10 in. x 8 in. Gray Medium Duty Shelf Bracket for the kitchenette and I bought two white Everbilt 9.75 in. x 7.75 in. White Elegant Shelf Bracket for the shelf in the bedroom. The shelf in the hallway will be mounted up with two wood 2x4s on each side. For the kitchenette, I located the studs by knocking on the wall (you can also use magnets to locate the nails located in the studs as well) and since I wanted the top shelf to have at least 16″ of space from the shelf to the ceiling, I had to create two marks that marked both the top and bottom of the top shelf. I then measured another 11″ below the bottom line of the top shelf and made two marks for the bottom shelf. I wanted to leave at least 22″ above the countertop so there was enough room for using the countertop surface. Because the shorter shelves didn’t reach across the wall of the kitchenette, I offset the shelves to make the weight of the items on the wall even. I measured the distance between the studs for each shelf, and transferred that onto each shelf. It’s easier to attach the shelf brackets to the shelves first, and then attach them to the wall. My studs were 30″ (on center) between each, so I knew to leave half an inch from the edge of each shelf edge and then measure inwards 30″ to mark the next center of the next bracket. Once I attached the brackets to the shelves, I had to pre-drill the holes for the screws in the studs on the wall. If you screw in the top screw on the bracket closest to the wall (where the blue arrow is pointing to), and then place a small level on top (where the violet arrow is pointing), then you can swing the other bracket up (where the maroon arrow is pointing), until the level shows that the shelf is at an even plane. This seemed to be the easiest way for me to attach the shelves and also double checking the correct balance of the shelves. For the shelf under the window, I first located where my studs were and made sure I cleared the electrical outlet. Ideally, I would have place a bracket where that electrical outlet is located, but there wasn’t any room. I wanted the height for this shelf to have an 8″ clearance, so I simply measured 8 inches below the existing shelf and marked two lines for the top and bottom of the shelf. For this shelf I trimmed the edges so it would fit the width of this space better. I also drilled a hole above where the outlet was located, so there would be access to the outlet. I attached the brackets to the shelf based on the width of my studs. For this shelf, I literally held up the shelf with one hand, and traced the inside of the drill hole locations with the other. As long as I continued to press the shelf against the wall, it didn’t move much. I did this because I wanted to mark where the drill holes were and also to pinpoint the center of the holes. There wasn’t room to swing the shelf up to level it out, (such as the kitchenette example), so when I placed the level on the shelf, I only had to adjust the shelf slightly to even it out. Once the first screw was placed, it pretty much held up it’s own weight until I could drill in the last three screws. The shelf in the hallway was mounted with a different method. I actually had to cut this original shelf piece in half. It was the other 72″ long shelf piece, and by placing each of the halves next to one another, I created a 18-1/2″ depth shelf. I first located the studs in each wall and measured 11″ height clearance for the space above this shelf. The width of the space was so small, that putting up brackets would have taken up too much room. I pre drilled the holes in the 2x4s based on the width of my studs I had located. Always remember which 2×4 belongs on which wall, so you’re not accidentally drilling extra holes. After that, I placed each piece on the new mount and held the shelf pieces in place with finishing nails. This was just one of my upcycling projects using materials I found in the garage. If you can find materials that are still in fairly good shape, I would try to upcycle it for a useful piece of item that you may need. It’s cheaper than going out to buy brand new material- especially since you’ll still have your extra supply of material laying around. I like to use up what I buy, it’s habit of mine and it’s saved me money over the years. I hope this post helped jog some ideas for you! I’m a big fan of carabiners. I have all different types and designs, however, I tend to favor the Asymmetrical D-Shape. On a whim a few years back, I bought two S-Binder carabiners. I really liked this design because the items I would place on the bottom half of the carabiner were separated from the top half. The top lever was the lever that I would use to hook and unhook the carabiner to other objects. This also lead to an issue with the way in which I used it. Each time I would wrap my hands around the carabiner to press open the top lever, I would inadvertently press my palm against the bottom lever and the objects had a very good chance to slide out. This involuntary action happened a few times and I had to come up with a quick solution. First, I wrapped a small piece of Velcro around the bottom lever, but over time, the Velcro started to become weaker and would become unattached, which left the end flap of the Velcro unattached. I knew I had to come up with a more permanent solution. I knew other carabiner brands sold their Asymmetrical D-Shape carabiners with locking mechanisms or had an external accessory that helped lock their levers in place. I had to make my own locking mechanism in order for me to not drop my keys all over the place. I took a old piece of an iron on elbow patch (I had bought a set years ago and never used them all up), and I cut the length to the distance that it would take to cover the lever and half of the basket of the carabiner. (If you don’t know where the ‘basket’ is, I labeled all of the parts of a carabiner in the first image). With a few sewing needles, I marked the locations of the fabric of which I would have to sew the fabric together. I removed the fabric from the carabiner and sewed it up. I needed to create a snug fit for the locking mechanism so that the fabric didn’t move easily when in use. When I sewed my second locking mechanism, I sewed it a little too snug, but with fabric, you have a slight chance to stretch the length and width of any product due to the material. This was material for iron-on elbow patches, so it was a very, very slight stretch . Once I was finished sewing both the locking mechanisms, I slid the pieces on, moved my key rings over them and then slid it back over the levers. It’s a simple solution to a very basic tool I use everyday. If you use any other kind of fabric, perhaps 100% cotton, you may have to sew it a little tighter because cotton tends to stretch more. And, you may want to extend the length of the locking mechanism so that it can’t slide back and forth on the basket as easily. The idea is to make the fabric slight “stuck” on the spine of your carabiner. If it has a hard time sliding around the basket, then it most likely won’t slide around when in use. I hope this might give any of you some ideas as to how to approach design problems such as this one. Happy sewing and don’t loose those keys! You’re looking at everything I own in my kitchen. That’s all of it, although my silverware and kitchen tools aren’t pictured. Some kitchen items are marketed to have specific uses, but you’d be surprised at how many kitchen items can have multiple uses and how some kitchen tools really aren’t necessary at all. Even when it coms to bathroom items, I don’t have a separate soap for my body and my face (I use separate bars… but it’s still the same bar soap brand). I use baking soda as toothpaste and I don’t use band aids (I use paper tape with gauze). For those of you who are moving into this lifestyle, I understand the need to buy compostable cotton swabs or a bamboo set of utensils to carry around, instead of grabbing a set from your existing silverware. In order to transition to this zero waste lifestyle, you’re altering your behavior that you’d developed for however many years you’ve existed on Earth. However, I don’t recommend buying into the “buy all new things because nothing else can substitute it” mantra. The likelihood is that you already have items that you can use, but for different purposes and the transition is simply altering your behavior and mindset. 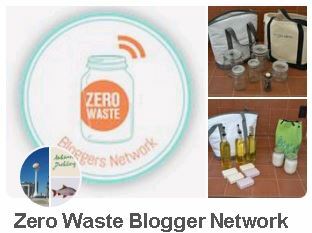 I understand the novelty behind this zero waste movement, but a lot of the times, I’ve noticed that a few bloggers will recommend a lot of new items. Part of this movement is to try to NOT create waste and when you buy more stuff, more than likely you’re producing some form of waste. For kids, I understand that it make take a few colors and some ownership of their personal products so they can personally take part in this movement or to break away from what they already like and know. Also, a lot of glass and stainless steel items may be to heavy for them to carry around, or that they may not be careful enough to take care of such items. For adults however, I think we should really try to create as many uses for a single product, as much as possible. Products that are designed for a specific use and a certain function, will likely not be as versatile for any other use. 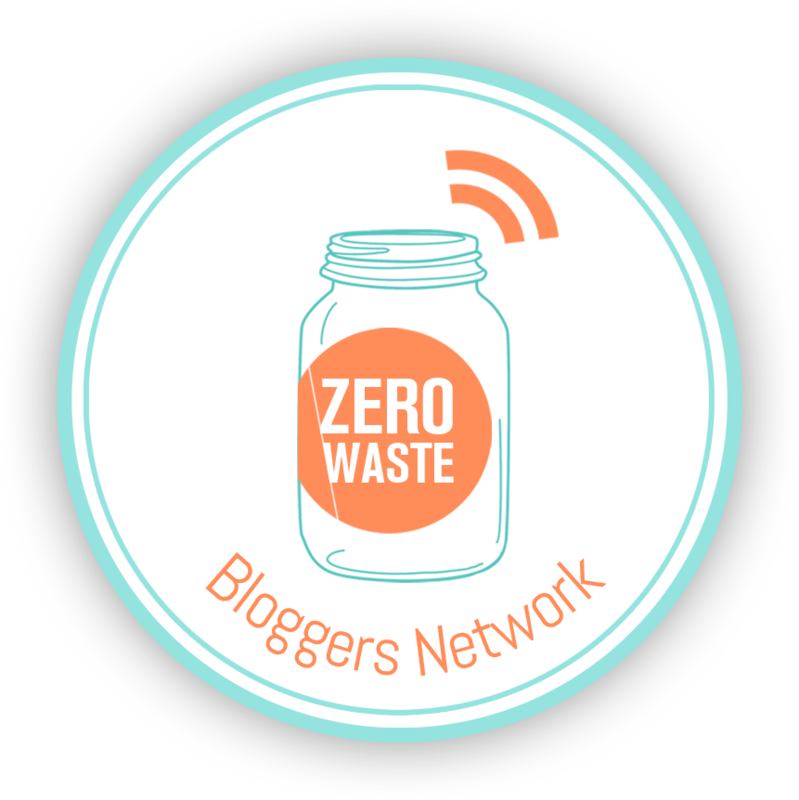 This list could go on and on, but I’m keeping in mind that each person has a different journey on this path of zero waste. But if you can, reuse what you already own, there’s no point to wasting your money if it’s not necessary. Also, the more stuff you buy and if you’re not purging items in your home, you’re essentially just adding to the amount of possessions you’ll now be responsible for. So don’t give yourself more work, seriously… life will do that down the line… apparently it’s plentiful.. like pens.. stupid free pens. For my sentimental possessions, I own a 3″x 12″x 6″ box, which holds just about every sentimental object in my life. A couple of years ago, I scanned all of my photos, drawings from my childhood, awards I got in school, just all of the paper I held onto. I scanned them and uploaded them to my cloud and also backed it up into my external hard drive. I did this because I had the notion in my mind that wherever I was in the world, I could access all of my photos via the internet. I actually tossed out many of my photos after I scanned them, I kept the ones which I knew were important to me. My sentimental box includes my collection of elongated pennies from different places I visited or vacationed, a few letters from relatives who have passed on, pins from different events during my lifetime, items from important people in my life, etc. Ironically, I did purge quite a bit of my sentimental items before I started writing this post. I had never purged this collection before and I kept only 1 sentimental items from certain points in my life. However, this is how I approached the situation for decluttering my sentimental items. In the book, The Life-Changing Magic of Tidying Up by Marie Kondo, she guides readers through tidying up each section of their home; sentimental items are the last to be dealt with. Her method, which is called The Konmarie Method, tells readers to hold each item and decide if the item brings you joy or no longer does. Then, with the items that no longer bring joy, bid adieu to the item, thank it for being in your life for that period of time and then place it in the trash pile, donate pile or sell pile. This is a great way to approach sentimental clutter because of the dynamic relationship we each have with our items. I don’t have enough stuff to go through the Konmarie Method where there would be a significant volume difference, but I did consider why I wanted to keep each of my sentimental items as I went through and purged. If you’re thinking of purging your sentimental items, you can check out her book or simply follow some guidelines that I listed below. There are many books on decluttering, however with the Konmaire Method, you examine what you want to keep verses what you want to donate. The key is to keep only mementos that are meaningful for us and for future generations. I tend to keep photos (which I digitize as well), and smaller pieces of keepsakes. I will keep a single handwritten letter or card from people who I hold close to my inner circle. I digitize everything else though, even those paper items, in case anything were to happen to them. I will purge the bigger items first. Part of the reason why I do that is because bigger items usually give me more room to save more stuff. If I don’t have the extra space, the purge has tighter parameters for me to work within. This question comes up a lot when I start going through my items. It’s the first question I ask myself. You’re likely to find some things you have no idea why you saved. If you want to keep the rocks, shells or spoons you collected from vacations over the years, create a place to keep them where you’ll see them and enjoy them instead of boxed up. Or if you can upcycle some of the items you can’t let go of, at least the clothing/fabric/item will be displayed somehow and integrated into your life. This category is a little harder to purge. Too bad all schools don’t make all small project items out of compostable materials. This category varies greatly in how or what small items you want to keep. Personally, if you can take a picture of the item and discard the physical item, that would be the ideal situation. Requesting no gifts is always a good start. With schoolwork, paper items, awards, etc., I would scan or take a picture of these items and only keep the more important documents. You can create a small binder for each school that they go to so for instance, one binder could be for elementary school, one for middle school and one for high school. Ideally, as kids get older, paper keepsake items become less so the binders tend to be thinner. However, the binder will also give you a limitation of how much you can keep from each school as well. My point is that it’s really up to you. The question is, what are you willing to keep and why. Don’t think of this process as being forced to get rid of everything all at once. Just imagine if you had to fit the most important sentimental items into a 56 quart storage container, what would you keep? If you want, start out with two 56 quart storage containers, or whatever size container you can handle. Some people are more attached to their items and it will take some time to go through it all. As long as there’s progress, you’re headed in the right direction. So go… go assemble your Alzheimer’s storage containers, full of memories that you chose to keep. Actually I don’t call my container my Alzheimer’s storage container, it’s just a box, but I do have an external hard drive that I call “My Ut-Oh HD”. It contains everything I ever took a picture of or scanned. It’s my life as a photographic archive. I have yet to screw up the hard drive, and if I do, and everything is erased from the hard drive AND I subsequently have some form of memory loss… maybe I’ll just be a cat. They seem happy and angry- it’s perfect. My last part in my ongoing list of “Items I’ve stopped buying” focuses on my garage, living room and holiday items. This list is very small in reference to the items I frequently bought. The garage items focus around doing laundry and the items needed to do laundry. The holiday items refer to items I used to buy for wrapping gifts. Doing my laundry is my least favorite chore and ever since I simplified the amount of clothes I own, it’s not as bad as it used to be. (My capsule wardrobe now consists of 27 items.) But also not needing dryer sheets or dropping my items off at a dry cleaners also make for a simple laundry routine. I have so few items when I do laundry, that I simply hang everything up when I’m done. I used to sit and fold my items for a good amount of time, and had to set aside time to do it. Admittedly, my simplistic routines have made me slightly lazier, but it’s also saved me time so I’m not packing my days off with things I need to get done. I actually HAVE time to be lazy- it’s weird. But I’ll take it. It’s weird because I’ve been conditioned to constantly be busy or with the tasks I need to get done each weekend or every other weekend. These tasks are supposed to take up a good amount of my day (that way I feel I’ve accomplished something for that day). When you get to the point when you find time to breathe (I mean a lot of time), it’s well worth the zero waste journey. There’s more planning involved in the beginning and routines to get used to, but honestly….. who doesn’t love naps?? Wrapping Paper —————-> Colorful Bandanas [wrap and tuck] & old t-shirts made into reuseable gift bags. Upon arrival at the recycling facility, lamps are removed from their containers and fed into specialized machine for recycling lamps. The entire process is fully automatic and incorporated in a container in which the air is brought to subpressure, thereby preventing mercury from being released into the environment. With the aid of a sophisticated patented air transportation system, the phosphor powder is separated in different steps from the glass and metal by-products. Clean glass and aluminum end-caps are separated and stored for re-use. The powder is then retorted to drive out the mercury. At the end of the process the glass, metal end-caps, powder, and mercury can all be re-used. Once the materials have been fully processed by the recycling facility, an official Certificate of Recycling will be produced and emailed to you for record keeping. This is an overall general process of light bulb recycling. As much as you can- please, please recycle these products carefully and appropriately. There are a lot of different materials that go into the production process of producing lamps that can harm the environment and the toxic materials will always come full circle back to us. Paper is one of the more utilized materials that we use in our society. It’s an amazing material that is very versatile in many uses. Although recycling paper seems like a simple process, different types of paper, create different issues when it comes to the recycling process. In 2011, 66.8 percent of paper consumed in the United States was recycled. Every ton of paper recycled saves more than 3.3 cubic yards of landfill space, and if you measure by weight, more paper is recovered for recycling than plastic, aluminum and glass combined. Paper is a material that we’re used to recycling, since 87 percent of us have access to curbside or drop-off recycling for paper. Paper Grades – There are five basic paper grade categories, according to theEPA. While these terms may be most useful to paper mills looking to process certain kinds of paper, you may hear these terms once in a while, and it’s possible you’ll need to be able to distinguish between them. Old Corrugated Containers – You might know this as “corrugated cardboard.” It’s most often found in boxes and product packaging. Mixed Paper – This is a broad category of paper that includes things like mail, catalogs, phone books and magazines. Old Newspapers – This one is pretty self-explanatory. Mills use newspapers, a lower grade paper, to make more newsprint, tissue and other products. High Grade Deinked Paper – This quality paper consists of things like envelopes, copy paper and letterhead that has gone through the printing process and had the ink removed. Pulp Substitutes – This paper is usually discarded scraps from mills, and you probably won’t have to worry about running into it, though it may find its way into products you buy. Shredded Paper – Ever wondered whether shredded paper can be recycled? The answer is yes, though you may encounter some restrictions regarding the size of the shredded pieces and the way the paper is contained. Check with your local recycling program for specific information. Staples & Paper Clips – Believe it or not, equipment at paper mills that recycle recovered paper is designed to remove things like staples and paper clips, so you don’t need to remove them before recycling. It is probably in your best interest to remove paper clips, though, so they can be reused. Sticky Notes – If your local recycling program accepts mixed paper, it will most likely accept sticky notes. Paper mills that process mixed paper are able to remove adhesives. To be on the safe side, check with your local program to make sure sticky notes aren’t a problem.